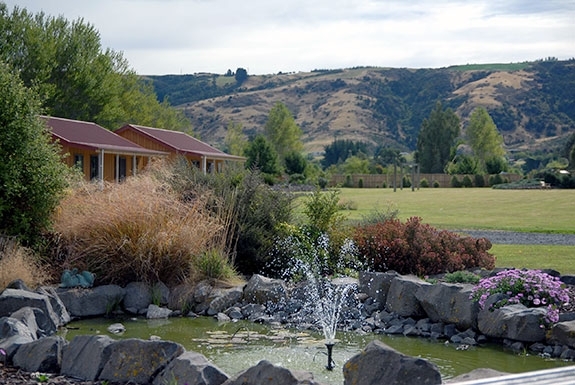 Set on the Taieri Plains in Mosgiel, Longbourne Lodge has been designed to offer you the best of accommodation experiences. Our sunny, spacious, warm cottages and garden studios nestle on 5 peaceful acres amongst trees and newly landscaped gardens. Our cottages and garden studios have lovely views from every room. To book now and pay on check-in date, please click on "Contact" and fill out the form with the request to book now - pay later. 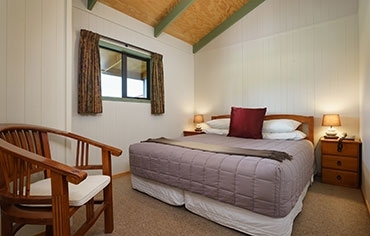 You can view the picturesque scenes of the Taieri Plains and surrounding hills from your covered deck, and enjoy a "country quiet" night's sleep in our comfortable beds. Being only 4km from the restaurants, cafés and shops, you could dine out in a different place every night. 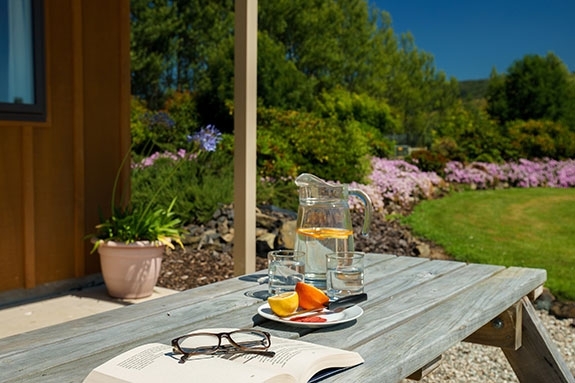 Alternatively you could create your own favourite meals in your cottage or studio, or use one of our complimentary gas barbecues and dine on the deck enjoying a fine Otago wine as you watch the sun slip slowly behind the hills. For the business traveller we offer more space than the average motel, and a quiet environment in which to complete your paperwork in the evening, along with wireless internet and supplementary office facilities. 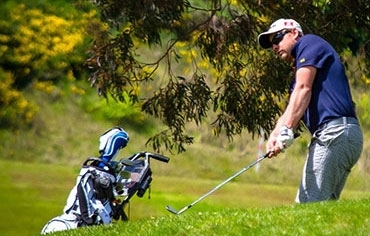 Being so close to the airport and Dunedin means you can enjoy a longer sleep-in on the day of your departure. Evening meals and packed lunches can be arranged. Barbecues and picnics are always a family favourite at Longbourne, along with outdoor chess, checkers, petanque and volleyball. 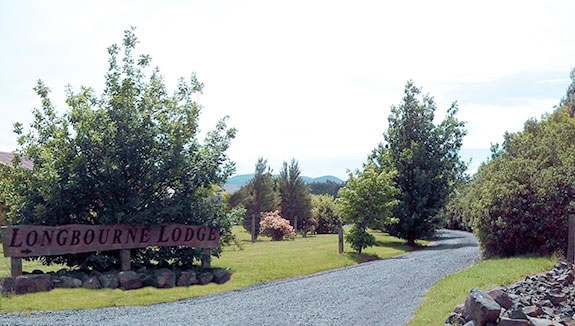 At Longbourne Lodge we like to think globally and act locally, so we've incorporated many features into the accommodation design including passive solar heating, double glazing and solar hot water. We offer rain collected filtered drinking water and the waste water is reticulated for the gardens. 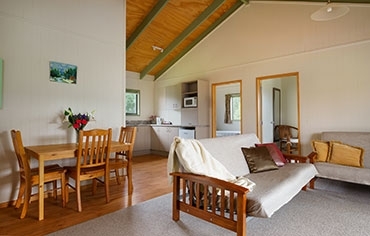 So why not spoil yourself and experience genuine rural New Zealand hospitality at a genuinely affordable Kiwi price? We'd love to meet you. We are very popular for wedding and family parties as the cottages and studios are considerably larger than the standard motel room. The 2-bedroom cottages in particular are popular for the evening prior to the wedding for "the girls night", and photographers favour them as they can get wonderful photographs, not only in the cottages as you prepare for your big day, but also within the 5 acres of gardens as you leave for the ceremony. 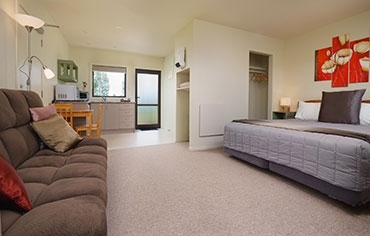 Each cottage has a large, light bathroom, and there are full length mirrors in the bedrooms. There is undercover parking adjoining the cottages, so should the weather be unkind on the day, you can still get into the vehicles without ruining your make-up or hair, or getting rainspots on dresses. 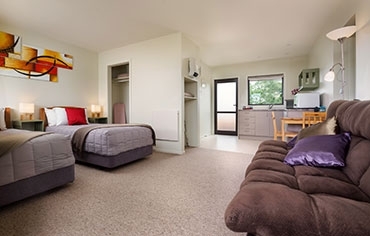 The cottages have irons and ironing boards, and a laundry is available on-site. There is easy access for the mini-buses should you be organising this as part of your "safe host" wedding procedures. We are the closest motel to Grandview Gardens wedding venue. 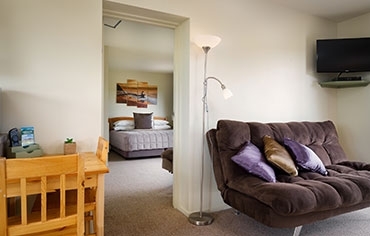 The Garden Studios are ideal for accommodating the wedding guests from out of town too. Should you wish to keep your wedding or family gathering private, special rates are available to ensure that Longbourne is booked solely for your function and guests.